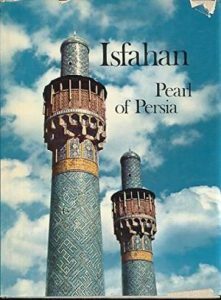 The Trust has recently been given a collection of books on Iran owned previously by Sir Roger Stevens (1906-1980). Sir Roger went to Iran in 1954 as Britain’s first ambassador after a two year break—the result of nationalization of the oil industry—and played a key role in rebuilding diplomatic relations. Although he served there for only four years, his enthusiasm for the people, art and history of Iran never left him. His main work was The Land of the Great Sophy (1962), but he also wrote on European travellers in Persia and other related subjects. The collection of 63 titles dates from the early 1950s onwards and consists mostly of travel and art books.